Like many lenders, I’ve spent much of the last couple years studying digital mortgages, building and evaluating software, and determining what this disruption really means for consumers and lenders. I’m surprised (but get why) fintechs building software for lenders still don’t fully grasp the different experience required by lenders serving consumers with loan agents versus lenders serving consumers directly. Let’s break it down so consumers, lenders, and fintechs can all get that we want. Digital mortgage vendors are in a furious race for market share right now, and of the $2 trillion in mortgages funded in the U.S. last year, most of those were funded by lenders with armies of loan officers who take care of consumers. As such the software to date has been built mostly to serve this model. It’s amazing software too. Consumers love it, and if it’s especially good, loan officers love it too because they can focus on advice while feeling the software helps rather than replaces them. Millions of consumers still want advice throughout the mortgage process, and until now, loan officers spend more time chasing paper than advising. 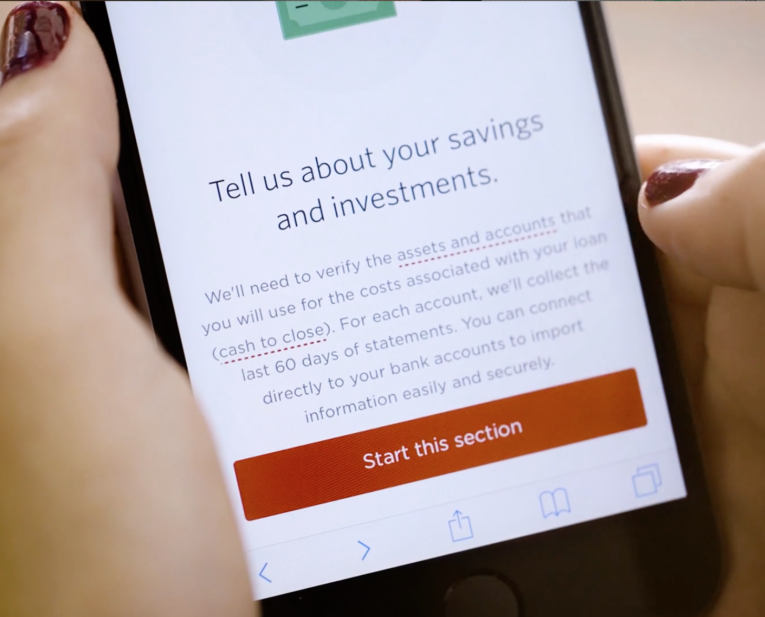 Now they can add client application data to the digital mortgage during their initial consultation, then send it pre-populated to the consumer to finish in minutes by connecting their bank accounts, payroll providers, etc. from any device anywhere. If the consumer gets stuck on any screen–whether it’s filling out a field or connecting/uploading documentation–the loan officer can jump in from anywhere and move them forward in realtime. Then comes the rate quote. In a loan officer-driven model, the consumer probably has received enough rate guidance during the initial consultations to want to move forward, but when it’s time to “put it in writing,” the loan officer can set up quotes for the consumer to review, accept, and authorize a rate lock in the same interface they’ve been using all along. Now for the obvious question: isn’t this the same functionality millions of other consumers who want to get a mortgage without a loan officer would use? But the technological implementation isn’t quite as straightforward because fintechs that make this software are serving different masters. Many fintechs think they have their consumer-direct model down because they’re listening to one master. So all you fintechs listen up: your technology needs to serve three consumer direct models, not one. This is where lender already has the lead, and it’s a lot like the loan officer model in that the consumer is asked to begin their online process by consenting to being contacted. It’s why the first step on Rocket Mortgage is to enter your name and email address, and this works for QuickenLoans because they spend hundreds of millions per year on marketing so the consumer already trusts the brand when they get to the site. It also works for big banks like Wells Fargo whose consumer direct models are all about analyzing existing customer data then asking customer to engage on a new loan application–here again, the consumer is comfortable to give up their contact info as step one. This is where lender wants to get a new lead, so it’s all about giving the consumer what they want before asking them for anything. Lender needs to let consumers run rate scenarios, review rates and fees for each deal, then bail out or move forward. If they move forward with an application, all loan/borrower profile data they entered to get a relevant rate quote pre-populates the application–in this way, it’s a lot like the initial-consultation-to-application flow in the loan officer model above, but there’s no loan officer so the rates are given “in writing” up front. If consumer bails out, there are degrees of bailing out. If they leave outright, lender can just let them go or use retargeting ads to follow them around and try to re-engage them. Or before they leave, lender can ask for just one field–an email address–to keep them updated on rates. Overall, Guaranteed Rate is the best example of this consumer direct model right now. This is where the lender already paid for a lead, so it’s all about winning consumer over in seconds or minutes before a competitor does. Example: consumer enters all of the loan/borrower profile data needed to get a rate quote on Lending Tree, then they’re routed to a lender they chose. Today when they hit a selected lender’s site, they mostly hit a lenders’s home or apply page and have to figure out how to start over from there. At best, some fintech vendors today allow consumer to land on a pricing screen (like option 2 above), but doesn’t pre-populate the data the consumer already entered on the lead provider’s site. For lenders who buy leads, this kills conversion. Customers bail and/or get picked off by competitors. When the lead provider passes consumer over to lender, all the data must integrate into the lender’s digital mortgage so consumer lands on lender site with quote pre-populated and ready for the next step to apply. There are countless lead providers, but to make progress here, software providers need to integrate big dogs like Zillow and Lending Tree ASAP. In the end, functions of loan officer and consumer-direct digital mortgages are all the same: you need an application, rate quoting, and methodology to run process of collecting data, authorizing actions, and signing docs. What’s different is which users (loan officers or consumers) see which functions at what point in the process. The good news is that fintechs have mastered a lot of these functions by building out loan officer models. Now they need to understand how to re-order those functions to serve the consumer direct model–and offer the ability for lenders to implement any version of these experiences they want. Hopefully for the sake of consumers and lenders, this description will help the software folks. And for those fintechs that get this right first, the bulk of the market share will be yours.